'CROM' - the god of springs! (chrome spring). This is about three levels stronger than the Dipped black, Gold, Black or Red/Black, and is supplied with the new V2 Grippers. Wasp coloured (Black with a yellow stripe). This is about one level stronger than the Gold, Black or Red/Black, and is supplied with Batch 9 - of the Vulcan Hand Grippers. These springs are specially manufactured for these machines. These springs are no longer available. Black. 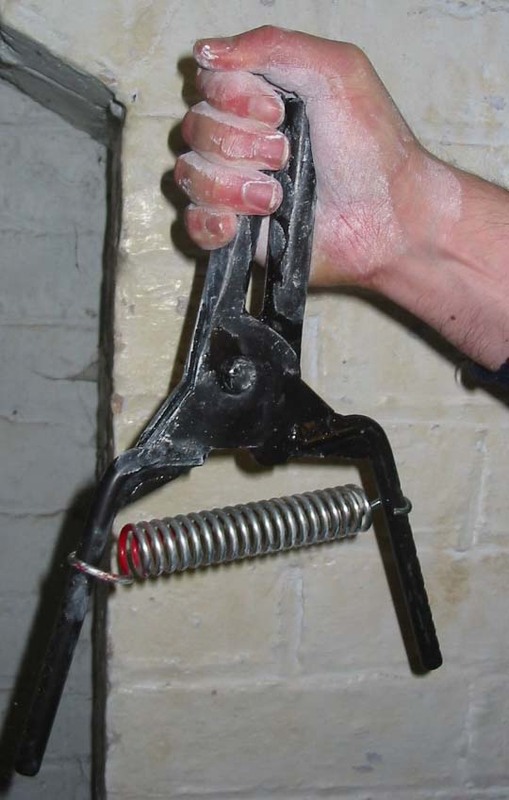 This is about a 10% stronger spring than the Red spring, and is supplied with Batch 6, of the Vulcan Hand Grippers, and later the Vulcan V2's. Black with a lime green and red ends - the Joker spring. These are equivalent to the Gold, Black or Red/Black spring. 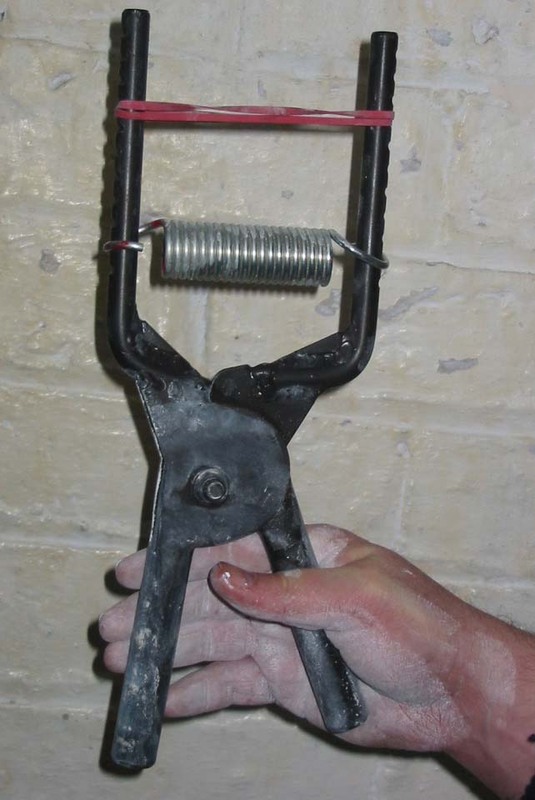 [These springs are used at the 2013 World's Strongest Hands contests]. Two springs are available. Black/gold end. These are equivalent to the Gold, Black or Red/Black spring. [The Black/gold end spring are the tested black springs available to the nine promoters (plus spare). 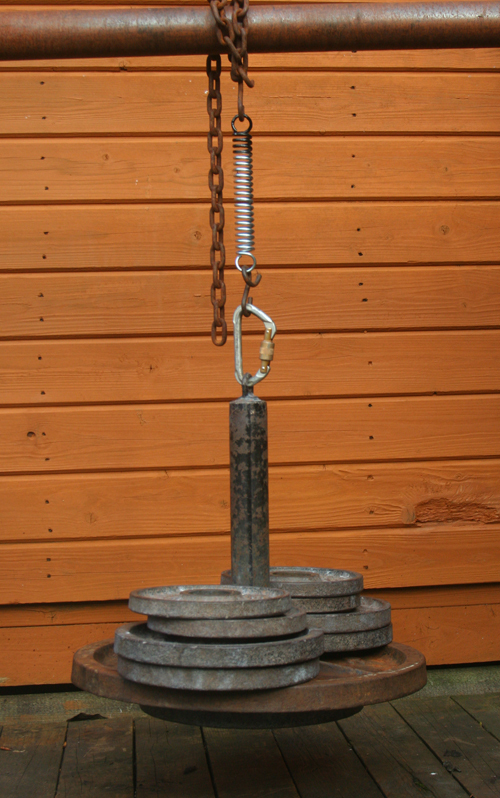 These springs were used at the 2012 World's Strongest Hands contests]. These springs are not available. Yellow. This is a 10% weaker spring than the red spring. Blue. This is a 20% weaker spring than the red spring. Orange. This is a 40% weaker spring than the black spring. White. This is a 60% weaker spring than the black spring. Each year we test the World's Strongest Hands springs for the promoters, so that all springs sent to the promoters are exactly the same. Here are the figures from 2013 (black with a lime green and red ends - the Joker spring). Here are the figures from 2012 (black spring/gold end). But this is just a rough estimate. It would take into consideration easy, normal and hard grippers. To make it harder, move the spring up the notches away from the pivot. You can move one side at a time, or even keep the spring in the same place and add a rubber band, which will increase the resistance very slowly. Remember to train both hands. 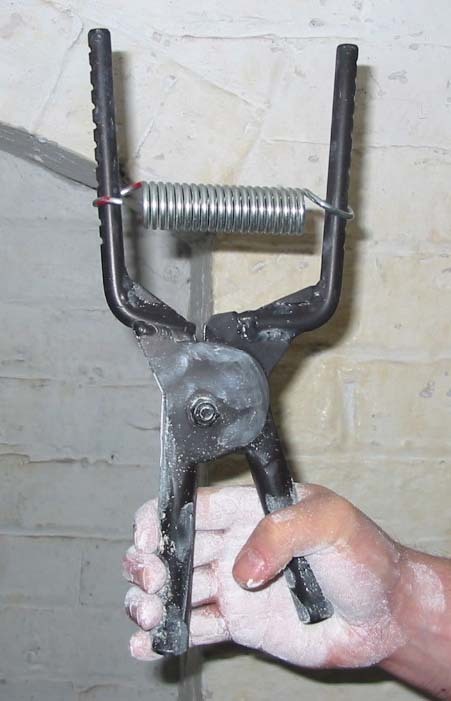 There are 2 recognised distances that people train on the grippers. These are the ‘credit card’ width and 20mm block width. If you insert one of these into the jaws of the gripper before you crush, and for each subsequent repetition, then you know you are starting from the same distance each time. The credit card width trains the ‘sweep’ part of your crush, and the 20mm block trains the final part of your crush. An ordinary credit card or similar can be used, and of course any block that measures 20mm at the end. So that everyone is playing by the same rules, we shall use the gripper with the numbered handle in the fingertips (this is the handle with the number on the bottom and has the two metal plates attached) - see picture below. Squeeze the handles until they touch. You hold the shoelace in the jaws of the gripper for as long as possible. You can increase the weight on the lace, or the time held. This builds good endurance. 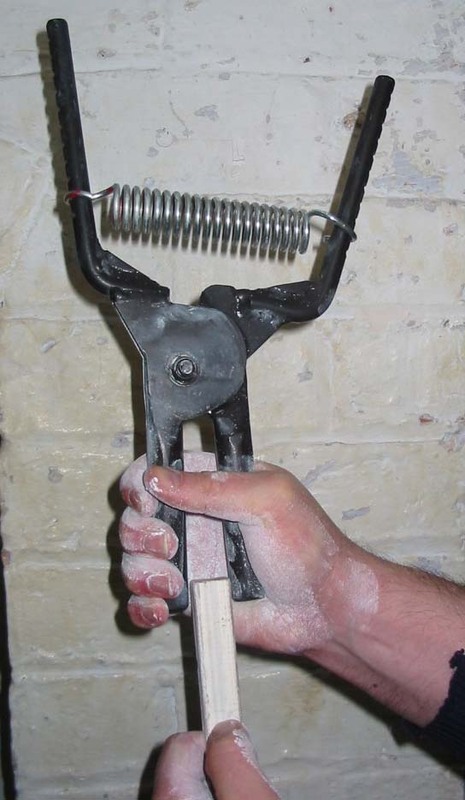 Squeeze the handles until they touch, holding the gripper upside-down. This exercise builds more strength in the index and middle fingers and is good for a change. If it's too tough to move the spring on just one side of the gripper then slowly microload by putting one or a few rubber bands on the gripper (see pic), and just the same as the spring, the further these are away from the pivot the tougher it is.